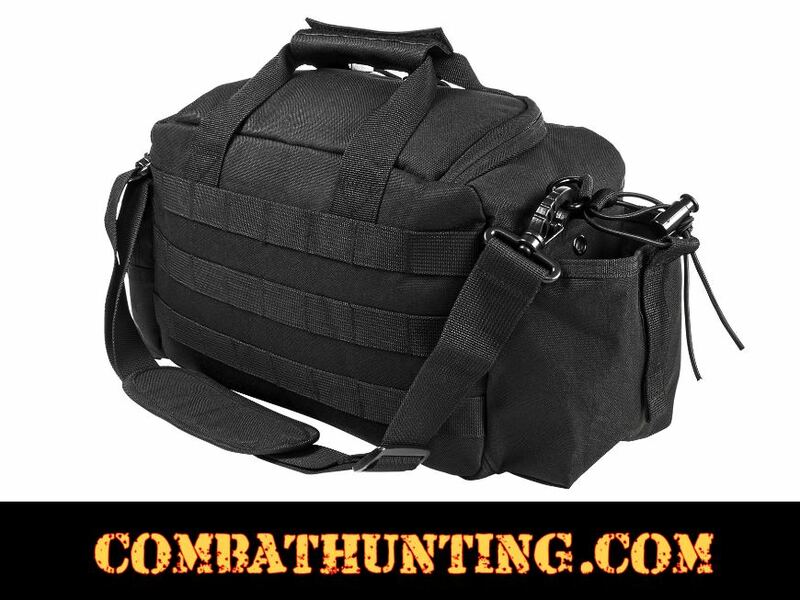 This CVSRB2985B Black small tactical range bag for pistols is compact but still hold a lot of shooting gear. 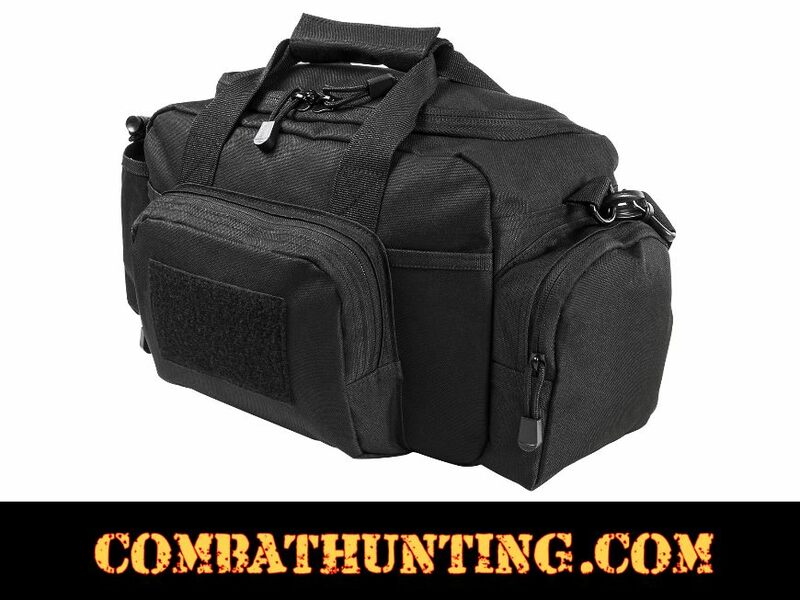 This is one of the best gun range bags for its size easily carry 2 pistols, holster, magazines ammo, eye/hearing protection and essential range gear. The main compartment is 12"L X 5"W X 7"H with several pockets inside. Inside are two mesh pockets on one side and three other pockets for eye protection and other gear on the opposite side. An elastic band for storing pens and tools. A large top opening zippered lid for easy access to your gear with heavy duty zippers. Metal zippers with metal loops for attaching a small pad lock (not included) to secure your gear and for those jurisdictions that require a locked container for your firearm when being transported to a range. 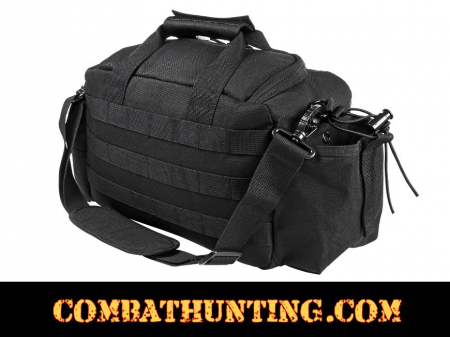 Range bags exteriors one side has PALs webbing for MOLLE compatible gear and pouches. The other side has a zippered compartment (7.5"L X 6"H X 1.5"D) with a soft loop fastener patch area for hook fastener name tapes, unit, and moral patches. There are four slotted pockets for a flashlight, pocket knife, pens, tools, etc. On one end of the range bag is a zippered compartment (5"W X 5.75"H X 1.75"D) for holding your hearing protection or other range gear. One end of the range bag features a water bottle pouch with elastic cord retention strap that will hold up to a 32 oz bottle. 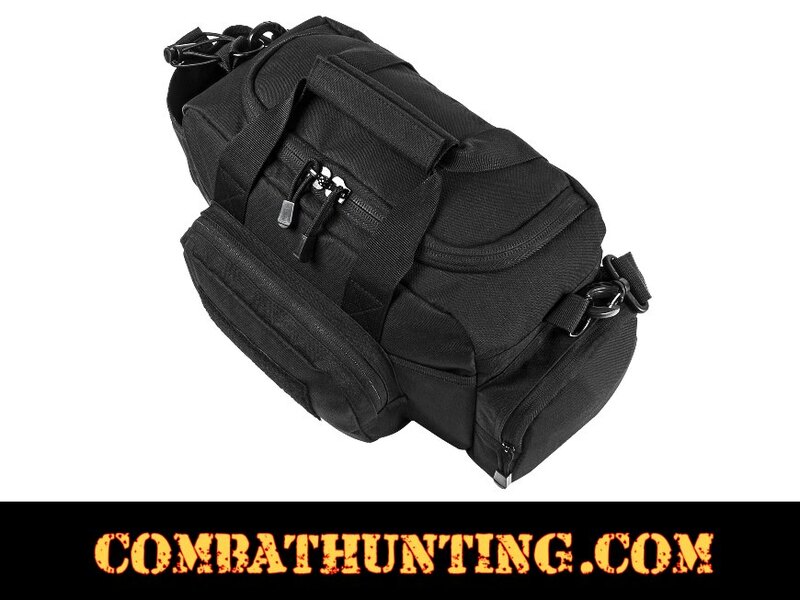 Heavy duty carry handles and a fully adjustable padded shoulder strap with spring loaded plastic hooks.